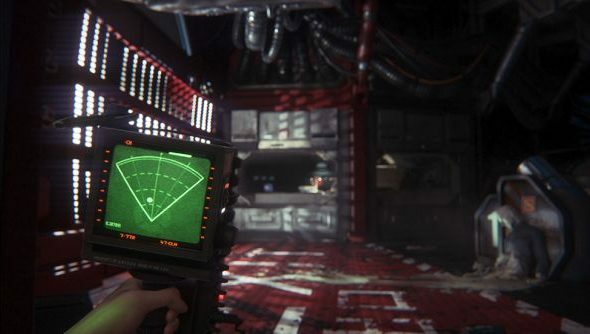 Consult our Steve’s Alien: Isolation review, and you’ll learn that the official site stance on Creative Assembly’s first ever FPS is that it’s really top stuff. Which is odd, because the sensations he describes are distressing in the extreme. “The alien is a constant, unscripted and exhausting psychological threat that follows you throughout the game,” he writes. Alien: Isolation is out today. Here’s Creative Assembly’s launch trailer, to sell you on the concept of constant, voluntary exhaustion. English accents! It’s tempting to attribute them to very English developers Creative Assembly, but voice acting is (sadly/thankfully) no longer something that AAA studios task programmers with. More likely, the Britishness is there because it’s the natural tongue of calm, calculated evil. Like a teacher doomed to disembowelment at the hands of his student, Steve was equally impressed and terrified by the titular creature’s capacity for learning. “As the game progresses the alien will be fooled less and less by distractions, soon giving up on investigating whatever it is you’ve chucked over its head and instead trying to figure out who’s doing all the chucking,” he wrote. “The alien is smart and requires outsmarting. Oo-err. Alien: Isolation will be live on Steam imminently. Do you think you’ll pay to spend the weekend harassed by Giger’s slithering nightmare?